Facebook as we know it, may be gone. It’s been no secret that Facebook and its News Feed popularity have been declining in past years. They made adjustments to post visibility algorithms and tested a couple of different solutions to no avail. The tech giant has been bombarded with controversy over recent years with events like the live streaming of horrific acts of violence, multiple private data leaks, targeted advertising discrimmination, and who can forget about the 24-hour outage that felt like a week? 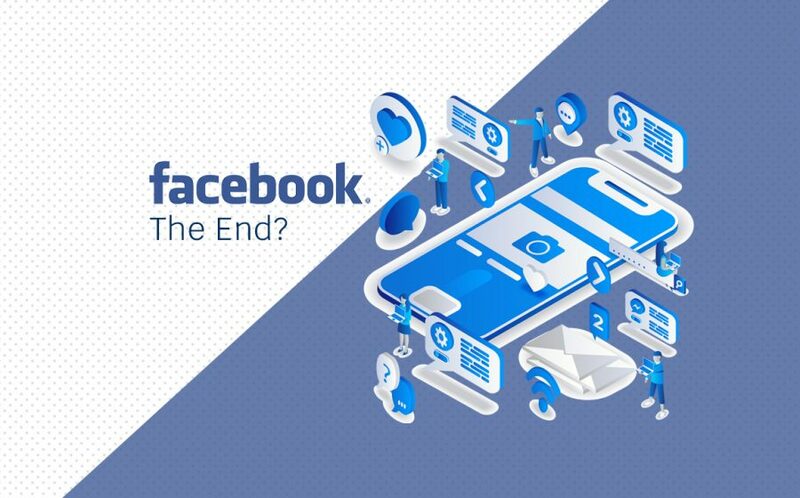 This has been coupled with the resignation of two major Facebook executives, most notably Zuckerberg’s right-hand man Chris Cox, who designed the News Feed and was one of the longest serving and well-liked employees. These factors have pushed CEO Mark Zuckerberg to re-evaluate the values and mission of the company. Facebook has rolled out new options for their “Why am I seeing this ad?” feature and added a “Why am I see this post?” option to address growing privacy concerns and improve transparency. But the major change has already happened and it slid into your DM’s. The News Feed has long been a staple at Facebook and you can argue it’s what grew the platform to such heights. But it has become a spot of controversy and is now a legal liability to the company in the 21st century. Just this week Facebook had another privacy leak, with a reported 22,000 unprotected passwords and 540 million records that included comments, likes and account names. They have also made algorithm tweaks that greatly impacted marketers and their post engagement, with a shift to prioritising pages with paid advertisements over those without. This new algorithm has had a major impact on organic post engagement and hurt the small businesses who don’t have the deep pockets to pay for increased exposure on their ads. Facebook users felt their News Feed was cluttered with ads and the targeting options for advertisers infringed their privacy or even discriminated against them. The company is now going to narrow their gaze on “making private messaging, stories and groups the foundation of their experience”, with privacy protection also being a focal point in the “new” Facebook. Zuckerberg and co. feels that people are still wanting to engage and connect like before, but now in a one-on-one messaging environment. These highly encrypted messages will be the new pillar of Facebook. Marketers and businesses will now have more opportunities within platforms like Facebook Messenger, Instagram and the What’s App to reach their target audience. All three platforms are owned by Facebook and will be integrating within one infrastructure in the near future. This will allow companies to have a reach and engagement level like never before. Start experimenting with Chatbot and automated messaging services. Message advertising is the future on Facebook and without it, you may as well be fishing without bait. You need to begin to include this in your approach to maintain your impact on the platform. Big changes, big opportunities!